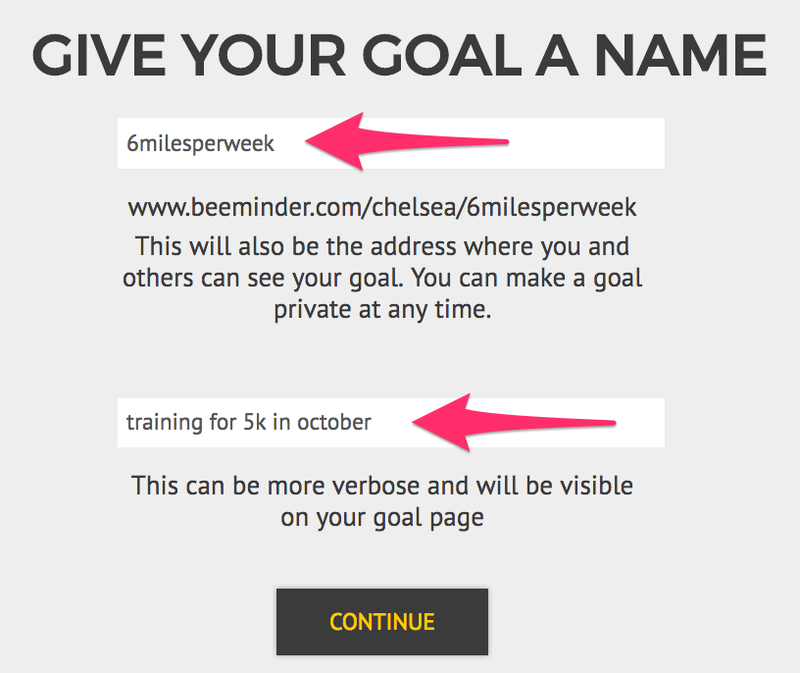 There are a few different ways you can set up a running goal with Beeminder! First, you'll want to decide the metric you care about most. Do you want to commit to running a certain number of minutes per week? 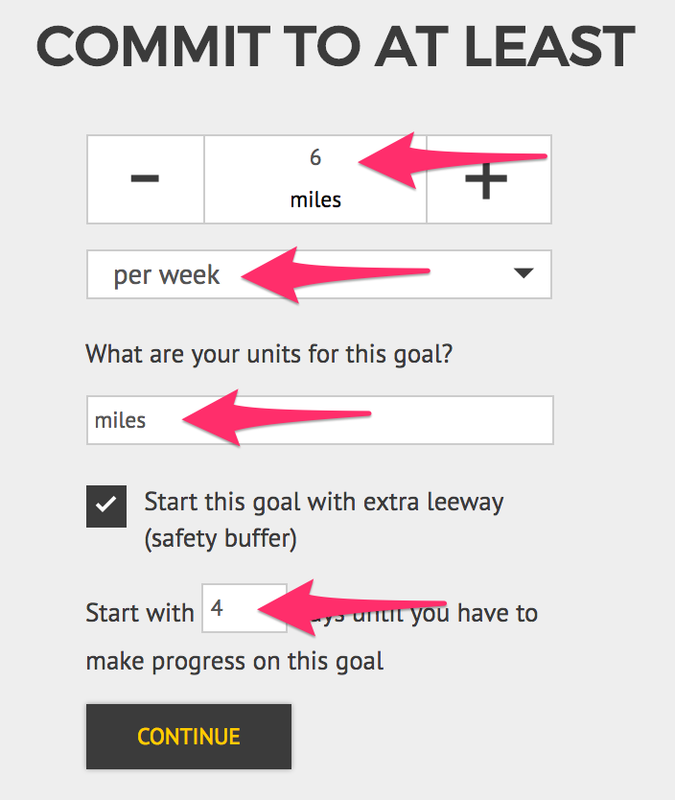 Do you care more about reaching a certain weekly mileage? Or maybe you just want to get outside and track the number of runs, regardless of how easy or hard they might be. This will dictate the type of goal you set up and how you enter your data, so try to pick the one you care about most! If you care a lot about multiple metrics, you can set up multiple goals to make sure you stay on track for both of them. Next, you'll want to decide whether you'll be entering data manually or using another device to report the data to Beeminder automatically. We highly recommend using an automatic data source if you have one — worry more about running and less about remembering to update your data all the time! If you've opted to use an automatic data source, follow the link for your device to get goal setup instructions. If you're going to enter data manually, keep reading! 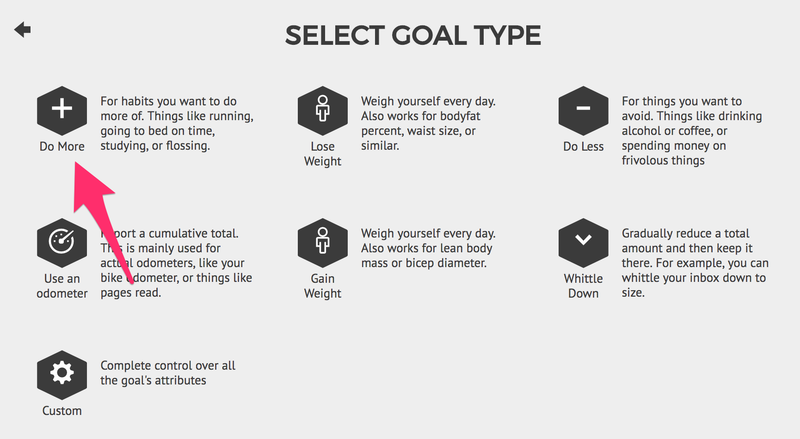 Select Do More as your goal type (because you want to Do More mileage). Enter the units you want to use and the amount you want to commit to. 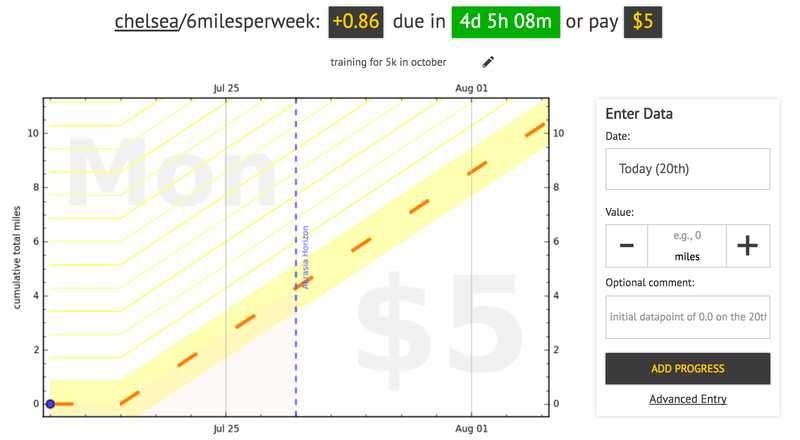 In this example, I'm aiming to run 6 miles per week, which is the same as a goal to run 0.86 miles per day. If you're using a different metric, fill in the fields differently! And now my goal is ready to go! I'll need to go for my first run in 4 days to avoid paying Beeminder my first $5!